A well designed space includes function and design. As the home chef becomes more of an everyday reality there are a few things that we are finding need to be incorporated into the home kitchen. 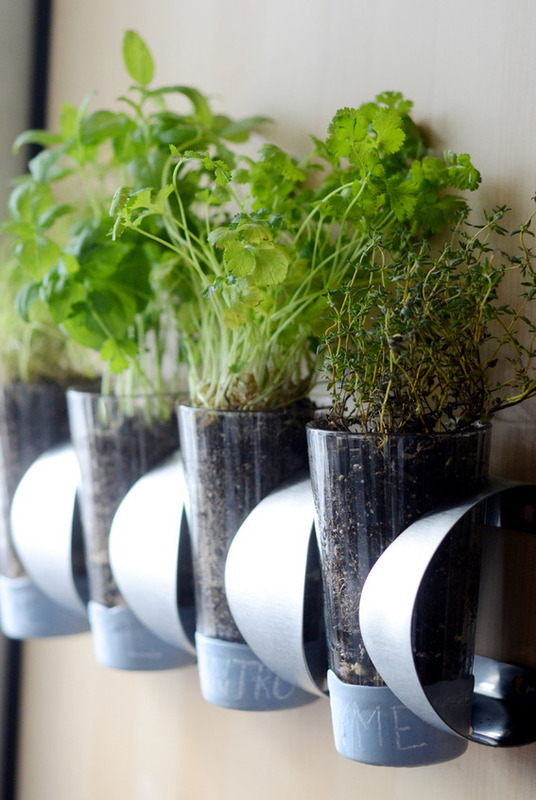 The number one thing has been a place for fresh herbs. I recently talked about living walls. 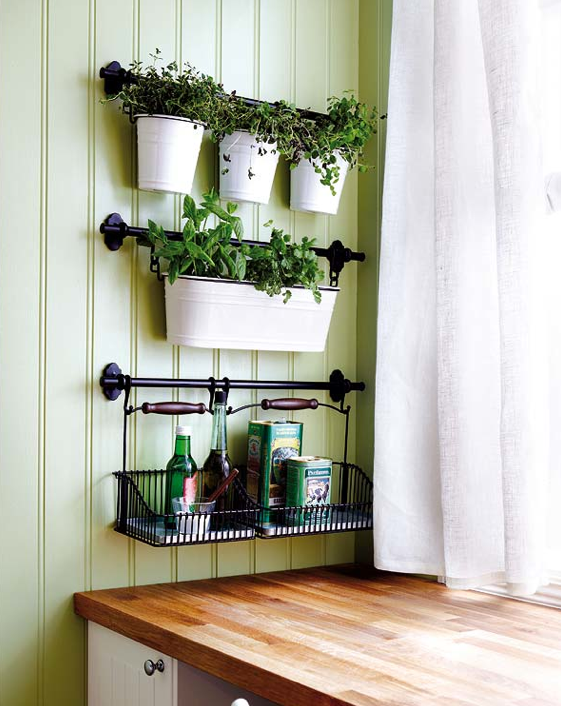 These are great if you are ready for the big commitment especially if you build it into your cabinetry. There are some smaller ways to start. 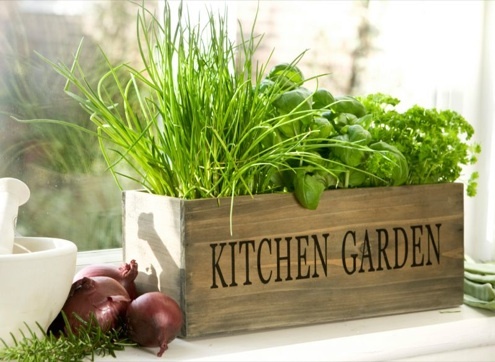 These smaller ways allow the home chef to dip their toes into the home garden without major changes to their homes. Here are some great ways to start. 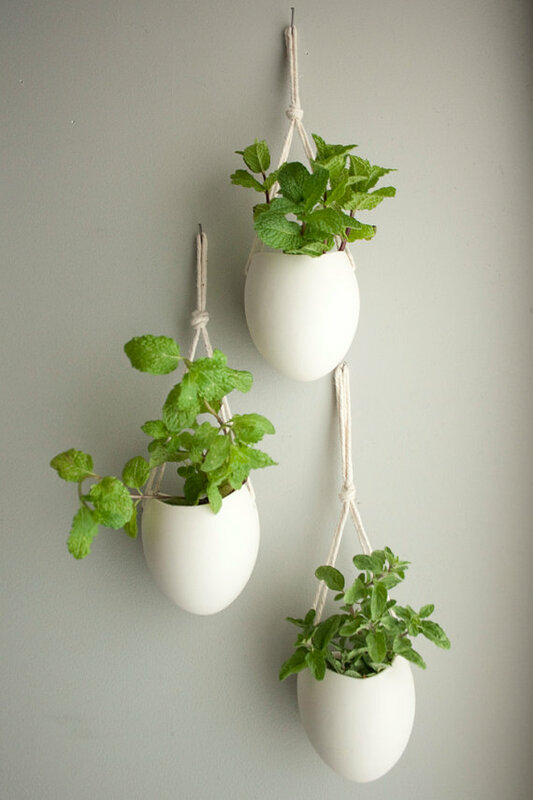 Clean and simple white containers that can hang in groupings or by themselves. 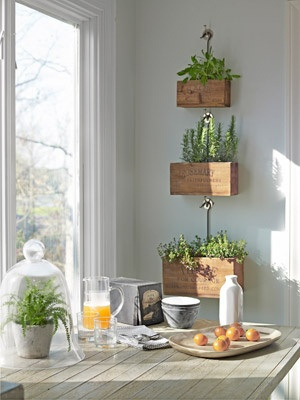 Great hanging boxes for added texture. A throw back design for the French country kitchen. 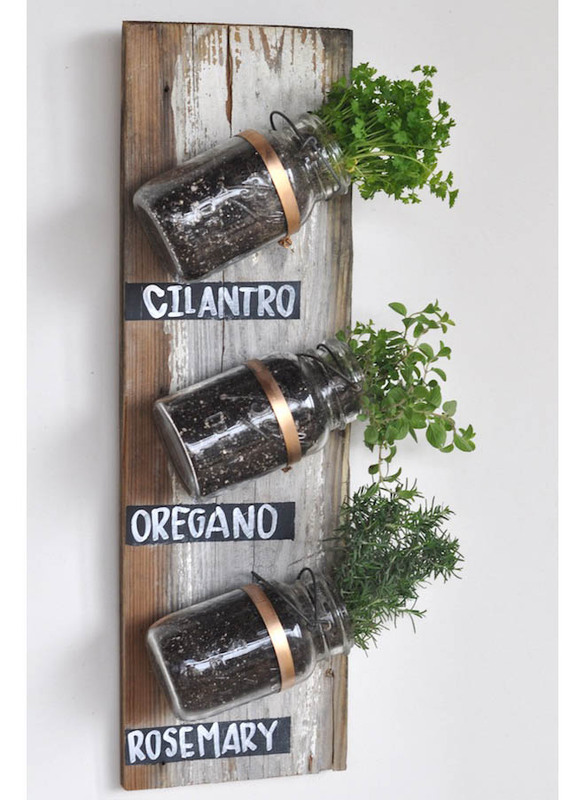 So as you are watching your cooking shows realize you too can have fresh herbs that look great in the kitchen. Thank you for reading. If there are any design topics that you would like to read more about let me know.